Ceiling fans make a big difference. It can be very hard to choose an fan, especially an outdoor fan. 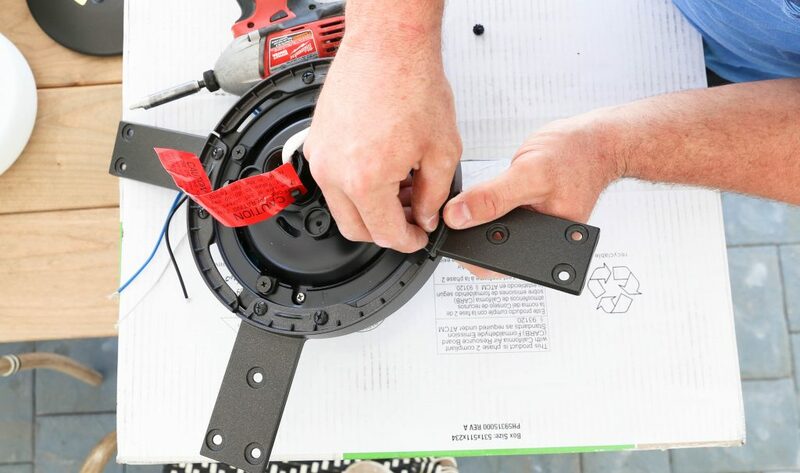 I am going to going give you a few different tips on how I ended up choosing my ceiling fans and how to install a ceiling fan. This is a sponsored post with Hunter Fan Company but all opinions are my own. I have been working on my backyard renovations for months now. I am so close to being done. 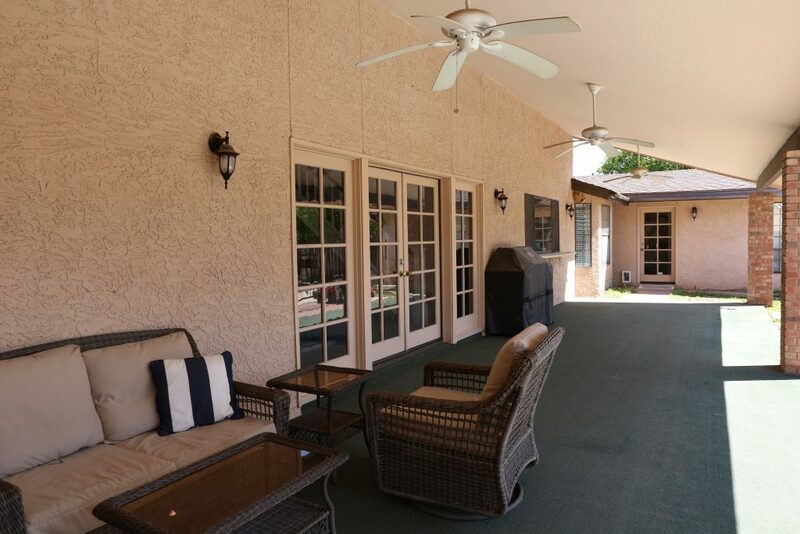 The finishing touches make such a big difference and my outdoor fans were in need of a facelift. My old fans have not working for a while now and now that my house is painted white I wanted something that popped a bit more. 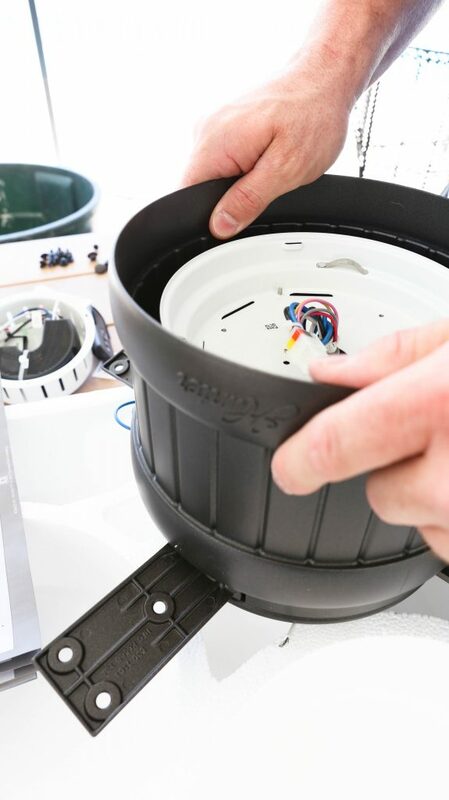 Today I am going to show you how to install a ceiling fan and I am going to show you exactly how easy the ceiling fan installation can be. But first, how to choose a ceiling fan is very important. 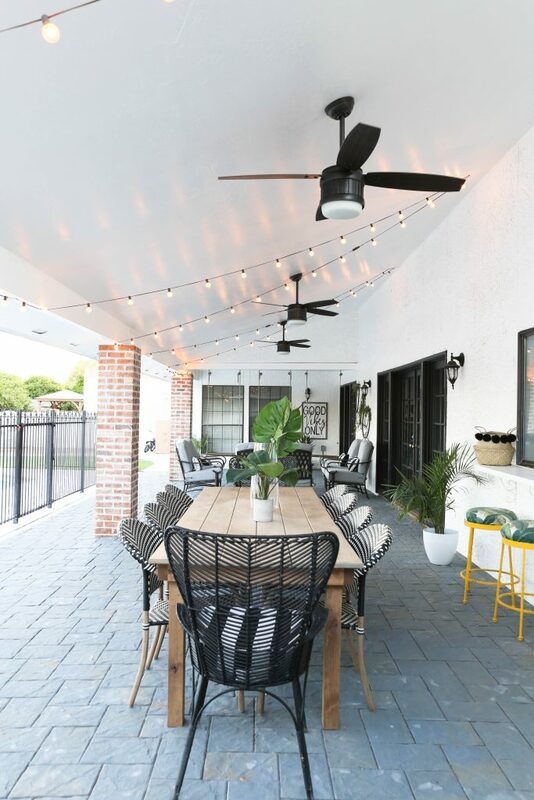 When I was choosing my outdoor fans for my back patio I wanted something sleek and bit modern for my outdoor space. I ended up getting the Seahaven Outdoor Fan from Hunter Fan Company in Noble Bronze. 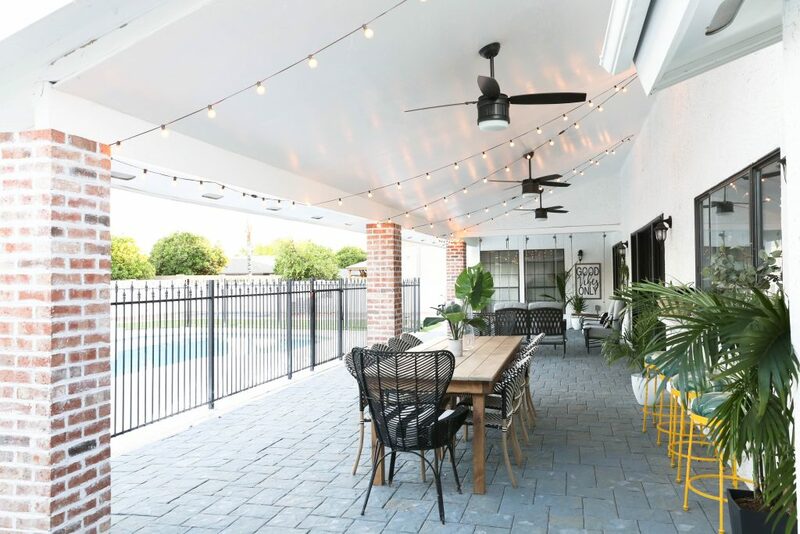 These fans provided such a cool breeze for the family and we’re so excited they helped put the finishing touch on my new favorite space! 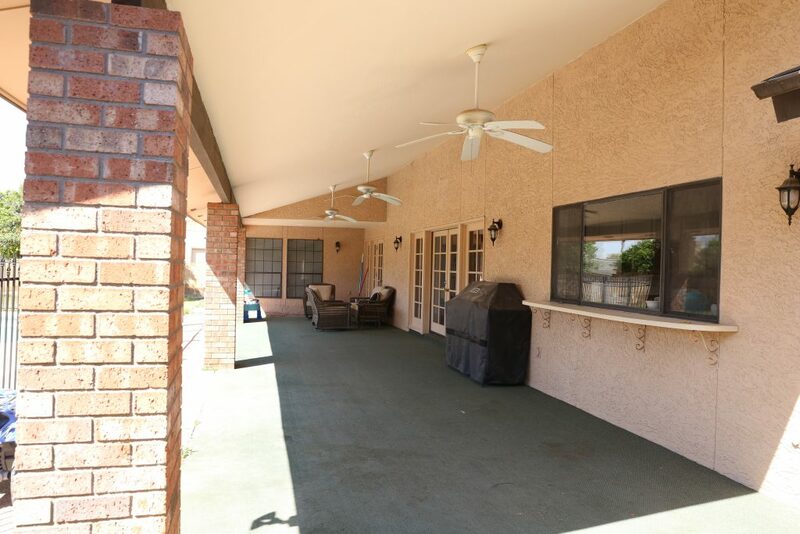 This is what my patio looked like before the backyard renovation and before we added in some new fans from the Hunter Fan Company. My back patio has gone through a major facelift and the my new Hunter Fans just made such a difference in this space. 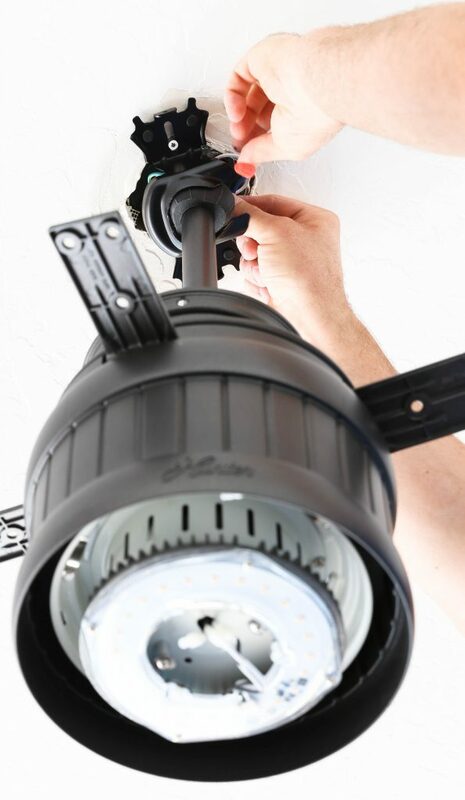 Choosing a ceiling fan can be a bit overwhelming here are are few of my tips. 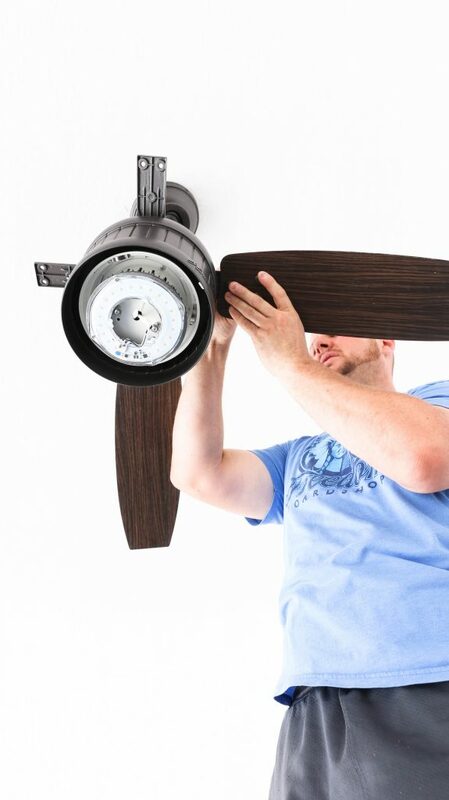 The ceiling fan should be the right size for the room. 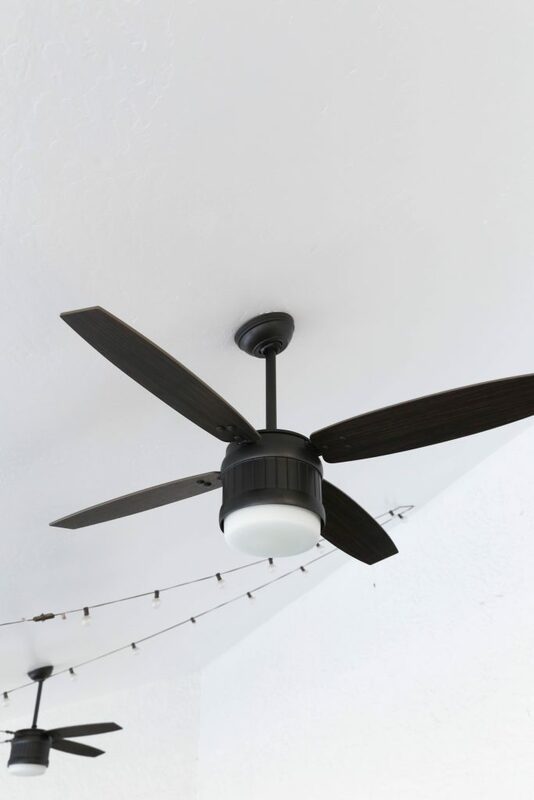 You don’t want the fan to be to big for a space or to small. Almost all the fans in my house are in the 50 to 54 inches. 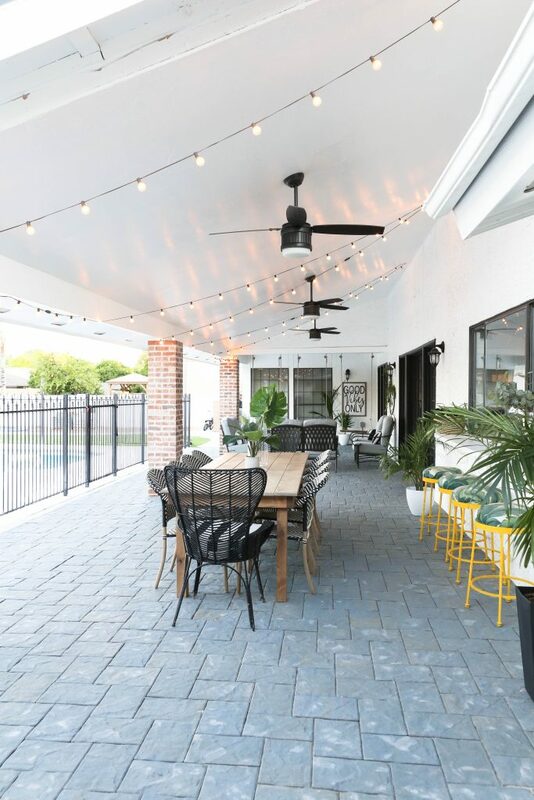 For my outdoor patio I have three fans in a row but I also have tall ceilings and a lot of space between each fan. 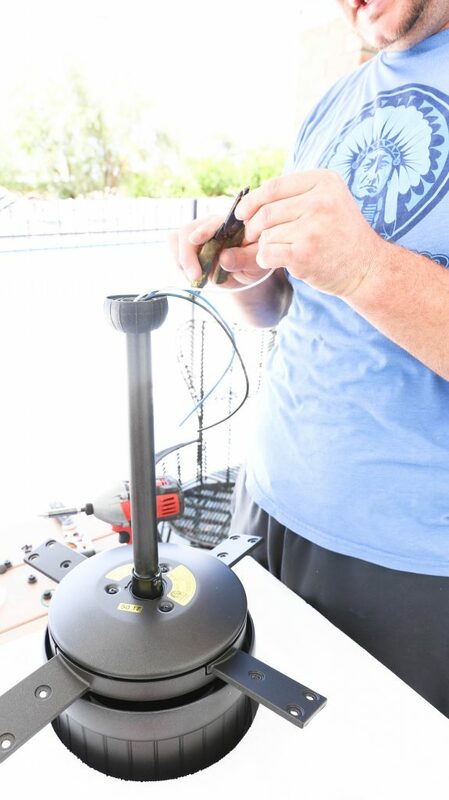 I also wanted a lot of air flow so I went with a larger fan that is 52 inches in diameter. If your room is a smaller room then going with a smaller size like a 29 to 36 inches diameter. If you are looking for a fan this size I love this one. If you have a medium size room then go with something a bit bigger like 36 to 48 inches. I love this fan. It’s called the Leoni and its beautiful. 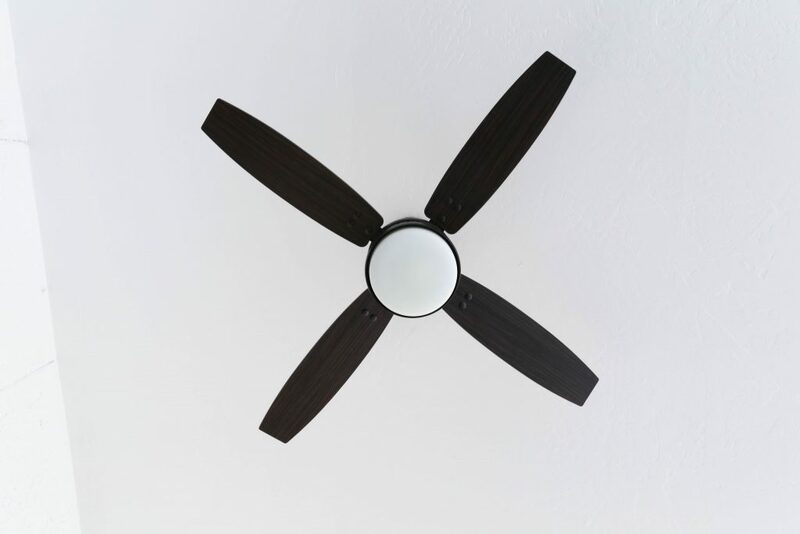 If you have a large space go with a ceiling fan that is 50 to 54 inches. If you are looking for a fan this size I really love the fan that I put on my backyard patio. You can see it HERE. If you need an indoor fan this size I LOVE THIS ONE and this one. There are so many amazing different fan choices out there. 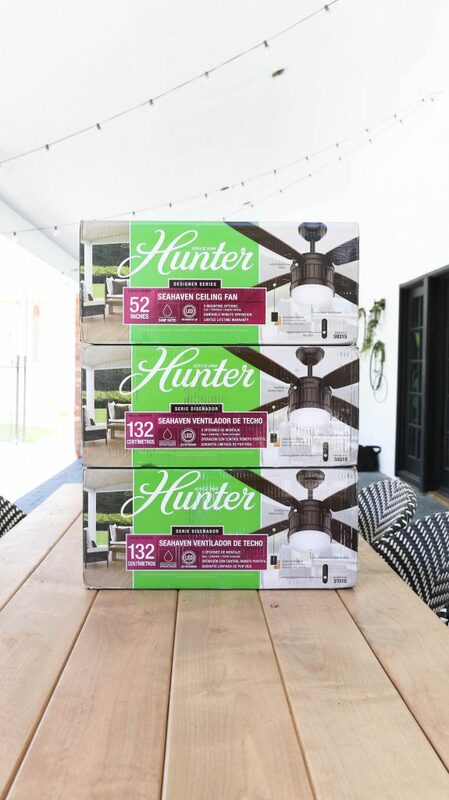 Hunter fan company has so many amazing choices. When selecting the color and finish consider if you want the fan to be a statement piece or if you want it to just blend in and flow with the space. 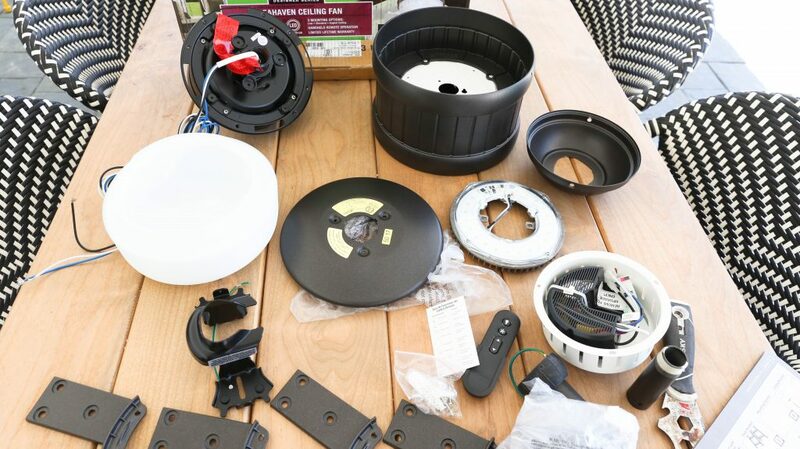 For my outdoor space I wanted the fans to pop against my white house so I want with a black color with dark blades. 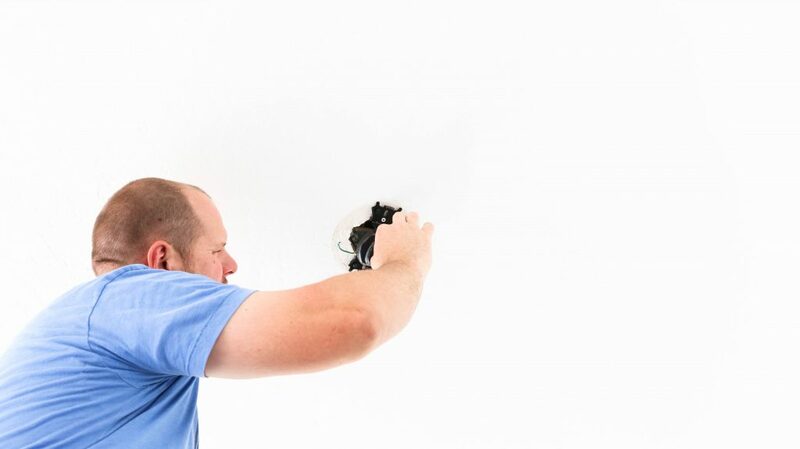 When you are choosing your ceiling fans consider you surroundings. Also, your color palette for the space. If you have lighter and softer colors in your space then go with something a bit light and softer looking like THIS FAN and THIS FAN. If you have a space with dramatic colors then go a bit more dramatic with your ceiling fan like THIS FAN. Before you get started lay out all the materials and everything from the fan packages. 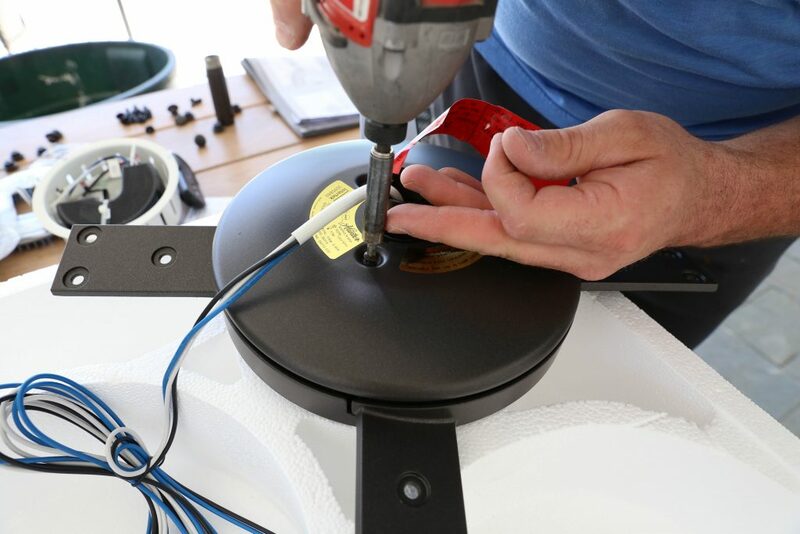 Step 6: Cut the wires to length and strip the end of the wires. 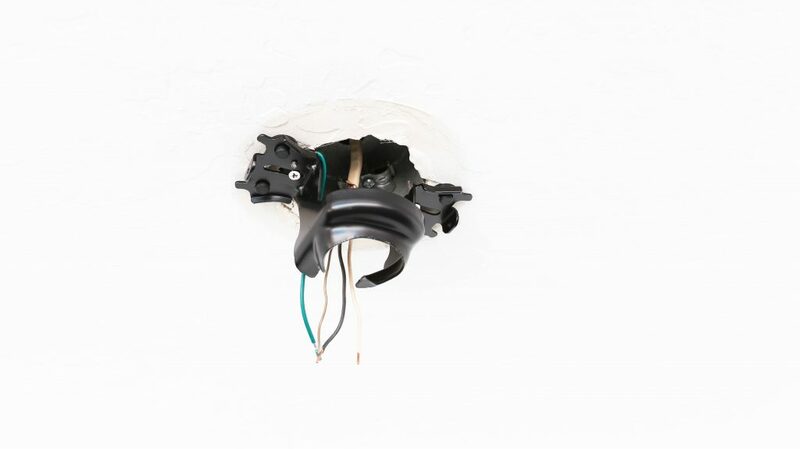 Step 7: Insert down rod into the ceiling bracket. 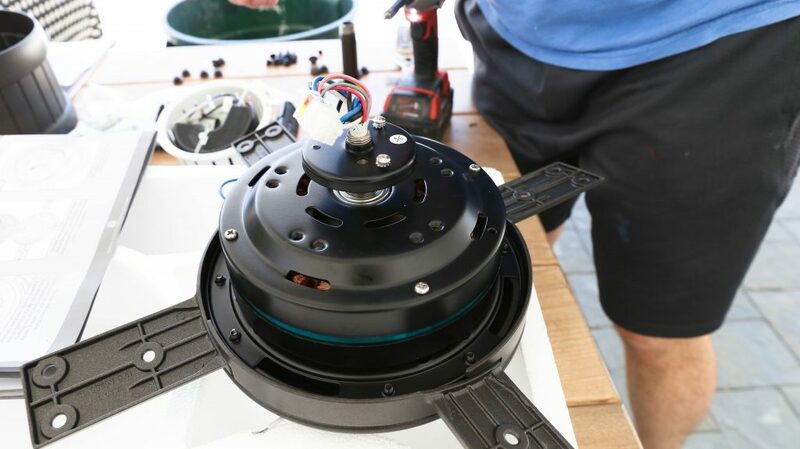 I did a full YouTube on how to install a ceiling fan. 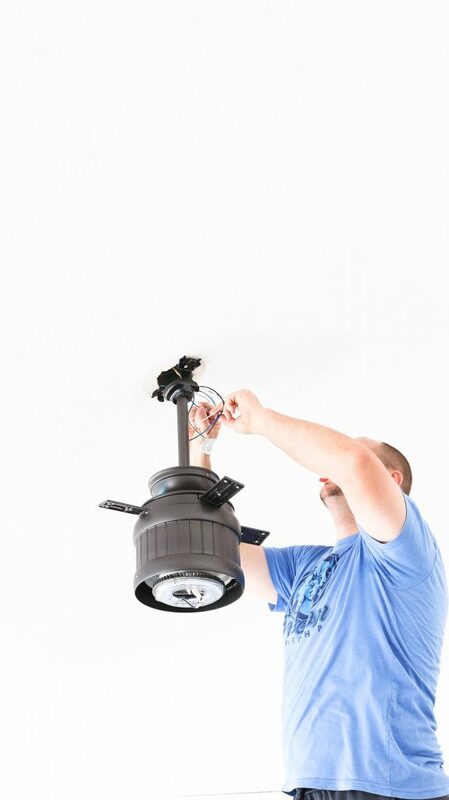 I wanted to show just how easy the ceiling fan installation can be. You can see the video here. Be sure to you check out Hunter Fan Company for some amazing fans. 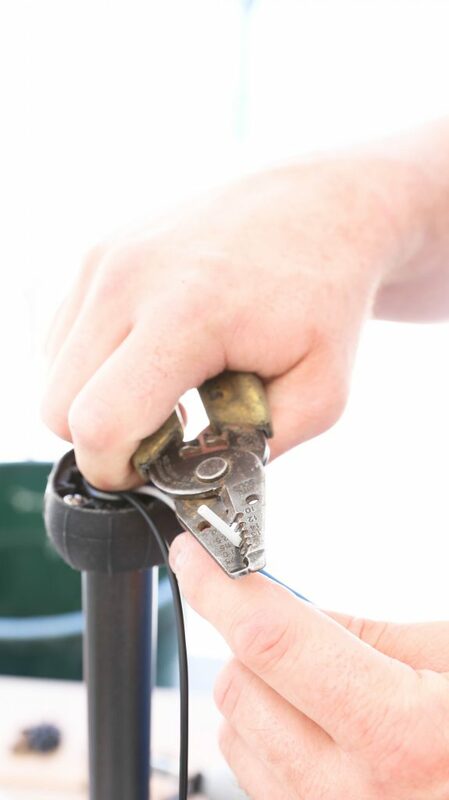 EKKK… loved see the sneak peeks to your backyard. Thanks for taking the time to make the video. 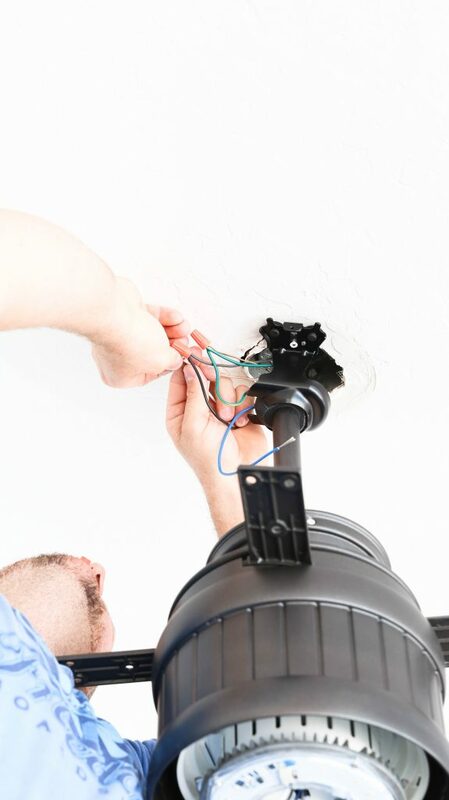 It is very important to consider your surrounding while choosing the ceiling fans. And also your color palette for space. I am also using the fan of Hunter Company and it’s amazing. Ow! That’s some real renovation! 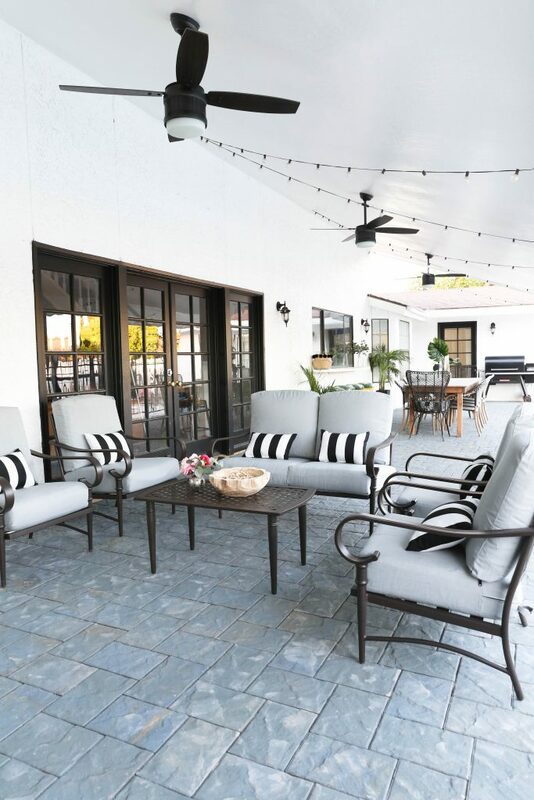 The new look of your patio looks gorgeous! As a quick addition, I think the control options play a very significant role when making the decision between fans.